Mini Coopers are just fun, little cars that can be ultra personalized to the driver’s own preferences with all sorts of aftermarket badges, grill decorations, and tons of LED lights. 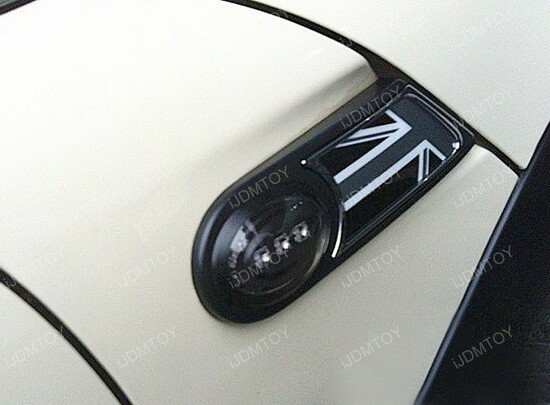 In this case, these MINI Cooper LED side markers are a hip little upgrade that shows off the MINI’s quirky side. The chrome neo-dark finish is brighter than stock filament bulb side markers with a built-in CAN-bus controller so there’s no onboard computer error. MINI Coopers are all about customization so the last thing that should be on your mind is worrying about any error message staring at you in the face. These LED side markers are a tribute back to the days of British racing, so that you can channel all your English racing fanatic inside. The LED side markers are there to guide you through the night and are a great safety feature that looks pretty awesome as well. The LED side marker lights look great with the white MINI Cooper and is sure to look just as fantastic on other colors of the car as well. 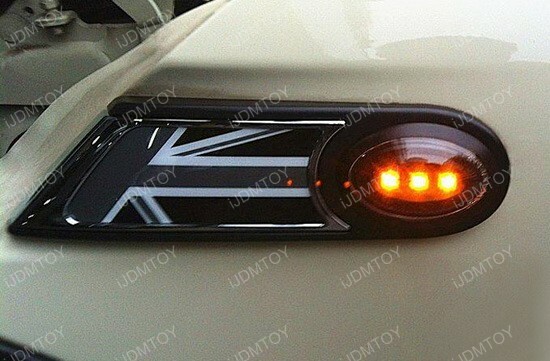 LED side markers are just one of many cool options you can use to deck out your MINI Cooper with. The great thing about these vehicles is that you can add all sorts of cool upgrades to it without going overboard. After you install these LED side markers, you will probably have lots of other fun LED light car upgrades installation ideas on your mind. This entry was posted in - LED & HID Updates, MINI and tagged British, car parts, cars, euro, European Car, iJDMTOY, LED, led lights, LED sidemarkers, MINI, MINI Cooper, sidemarker, sidemarkers, Small car by Shari. Bookmark the permalink.